SHREVEPORT, LA (KSLA) - Pothole problems have resurfaced in some parts of Shreveport, thanks to the latest batch of winter weather followed by the slow thaw. With hundreds, if not thousands, of extra cars, trucks and big rigs taking detours because of the icy conditions, it can really take a toll on side roads. And many of them aren't getting a break yet - because I-49 in the metro area will stay closed through Thursday night, February 26. 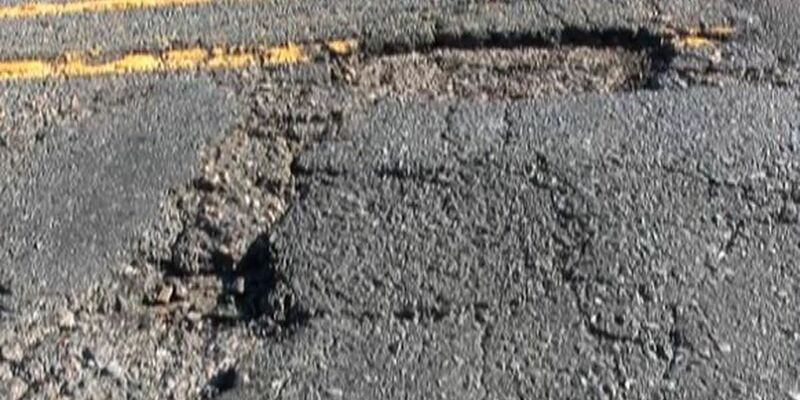 Crumbling portions of Shreveport roads are leading to some treacherous potholes. Some drivers, like Stanley Best of Shreveport, say these street conditions are typical this time of year, with the freeze-thaw cycle loosening up the pavement. "I guess that's why we need to spend more money in that particular area" said Best. The recent ice and snow followed by the melting, along with more I-49 detour traffic, has also worn away some pothole patches; especially in certain areas of town like Southern Avenue. "Coming from Mall Saint Vincent we noticed some serious problems where the weather's just dislodged some of the concrete patching that's been used historically to fill potholes," said Best. When it comes to potholes in Shreveport, most drivers will tell you that it wasn't the cold weather that caused this problem, it only exacerbates what's already here. Shreveport driver Carlos Taylor said, "They're real bad on the suspension." In fact, Taylor recalled one encounter with a severe pothole a few months ago that turned into a real ordeal. "Actually going to pick up one of my step-daughters from school and I hit the pothole and had a blowout," said Taylor. While some see this pothole issue as a seasonal problem, others like Stanley Best believe it is symptomatic of a larger issue in Shreveport. "Having lived here in Shreveport for over a decade that it does give one cause for concern in terms of where is city government when we need them" said Best. If you see a pothole and want to report it, just call Shreveport's Streets and Drainage Department at (318) 673-6330. Copyright 2015 KSLA All rights reserved.